There comes a time when changes need to be made within a National Hockey League club. Losing streaks, poor team play, and inconsistencies are some prime factors which can lead to shakeups on and off the ice. In the case of the Philadelphia Flyers, those factors have been all too real this season. Having already brought in a new general manager, assistant GM, and assistant coach, nothing has gotten much better. Now, after another inexcusable loss, the Flyers remain in dire need of changes. 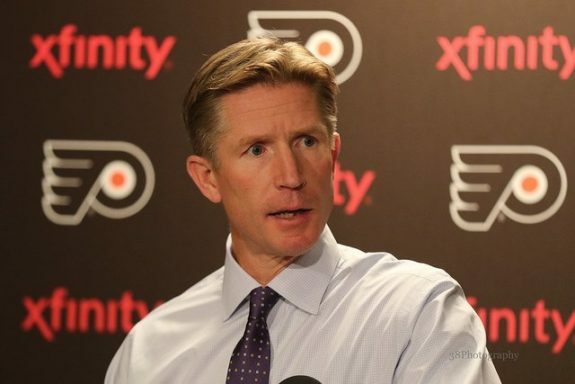 Last week, the team hired Chuck Fletcher as the new GM after the shocking firing of Ron Hextall. In the midst of an already tumultuous season, team executives finally decided to shake things up within the front office. A new face with a promising track record seemed to calm a frantic franchise. However, the on-ice product is still suffering. One thing the team can and should do is make a trade. Fletcher has already expressed his interest in adding a top-tier forward, a veteran defenseman, and a goaltender. According to NBC Sports Philadelphia, the St. Louis Blues have made their way into the rumor mill as a potential trade partner. The Blues have had more than their fair share of struggles this season – they fired their head coach and have had players fight in practice recently. Big names such as Alex Pietrangelo and Vladimir Tarasenko were mentioned in the article yet both bring a very high asking price to the table. On the other hand, with a strong pool of prospects and a stock of draft picks, perhaps the Flyers could work something out. Another possibility on the trade front for Philadelphia would be to move forward Wayne Simmonds. The seven-year Flyer veteran is in the final year of his current contract with the team which brings him and the club to a crossroads. 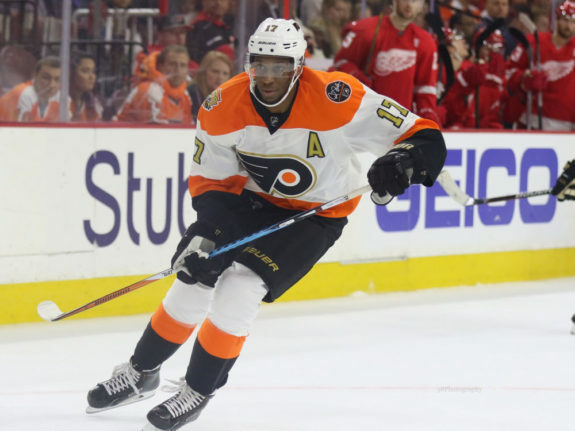 Simmonds arguably epitomizes what it means to be a Flyer with his physical and gritty style of play. As of this writing, the 30-year-old winger has 14 points on the year with lots of season left. If the team were to trade such a player, the return would have to be significant. As of now, rumblings of the power forward being moved from Philadelphia are scarce. However, whether he’s traded or signed to a new deal, Simmonds is bound to benefit any NHL team. Aside from lineup changes, Philadelphia’s new GM may also soon be in the market for new coaches. Head coach Dave Hakstol finds himself back on the hot seat after another disappointing stretch on the ice. Two gut-wrenching losses highlight the most recent week of hockey. On Sunday, the team was steamrolled by the Winnipeg Jets, 7-1, not even 24 hours after handling the Buffalo Sabres in a solid 6-2 victory. Then, on Wednesday came another brutal collapse. With less than two minutes left in regulation, the Flyers let a 5-3 lead slip right out of their hands only to be defeated, 6-5, just 35 seconds into overtime. Forward Dale Weise expressed his frustrations during his post game interview saying, ” That’s as bad as it gets. That’s f—ing awful.” Taking into account the team’s poor discipline in the third period alone, one may not think that this loss is on the coach. However, Hakstol may imminently and ultimately be the one who takes the fall for how his team has been performing this season. In addition to Hakstol, assistant coaches Ian Laperrière and Kris Knoblauch could also see their tenures end. Each assistant bench boss is in charge of handling the two sides of Philadelphia’s special teams. Still, the Flyers’ power play and penalty kill are both in the bottom of the barrel in the NHL. Firing at 14.3 percent, the man advantage unit sits at No. 27 in the league, while the PK lies dead last at 72.4 percent. With glaringly awful special teams stats, one would assume that those responsible would be next in line to be axed by the team. There’s not much to say about Philadelphia that hasn’t already been said. Recurring problems with team play, consistency, and coaching still cause the Flyers to suffer. As the season progresses and each game becomes more important, it’s high time the team strongly considered making changes on the ice, off the ice, and maybe even both.